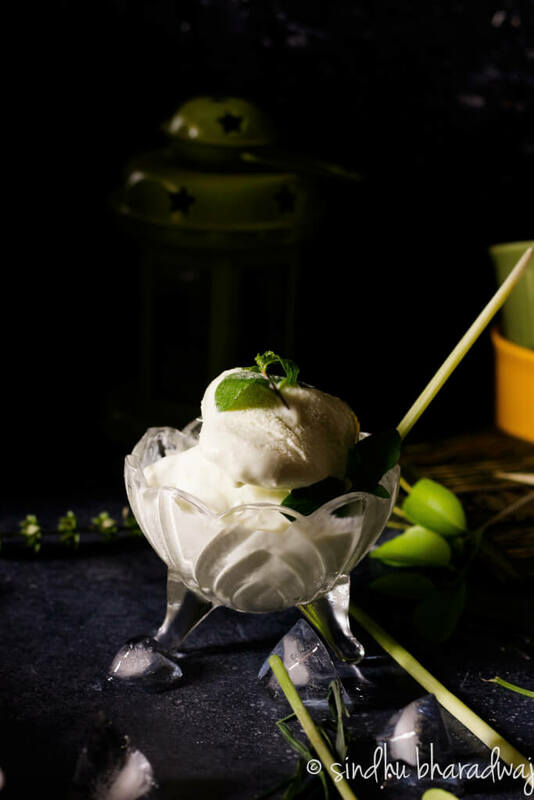 Rich, creamy, refreshing and citrusy, this lemongrass and coconut ice cream is the perfect way to end your meal on a sweet note or simply indulge in a dessert when you fancy. Light and subtle notes of lemongrass and creamy coconut makes this an irresistible dessert. 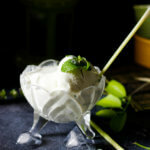 Wondering why lemongrass and coconut ice cream? Think it is unusual? Hey! That’s me 🙂 people who know me, know that I’m a die hard fan of Asian food and I lovvvee lurrrrvvvvee loveee lemongrass, basil, and especially this Thai Green Curry that has lemongrass, basil and coconut milk. 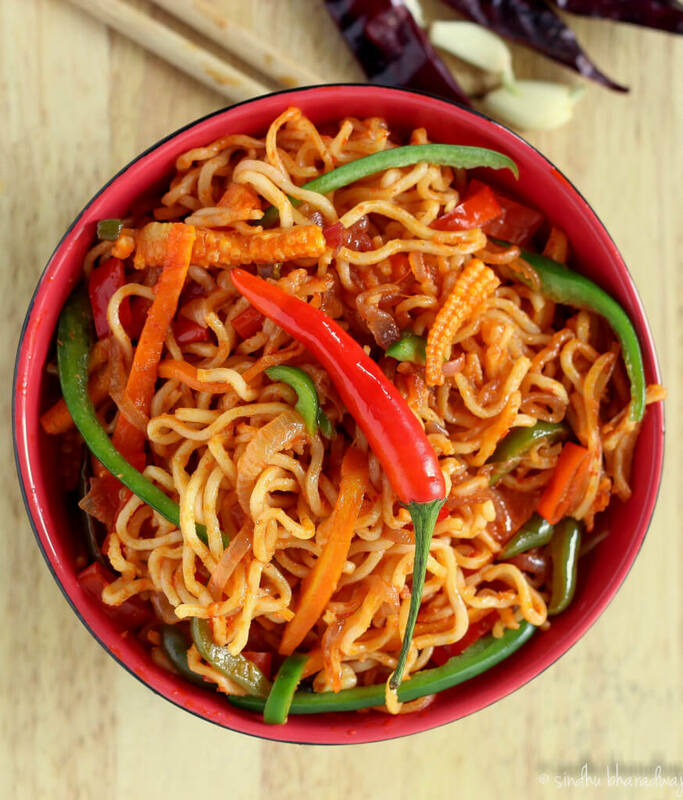 So love the flavours. And its always a hit. The first time I had lemongrass Ice Cream was at Misu, Pan Asian restaurant a few months ago on our daughter’s birthday. 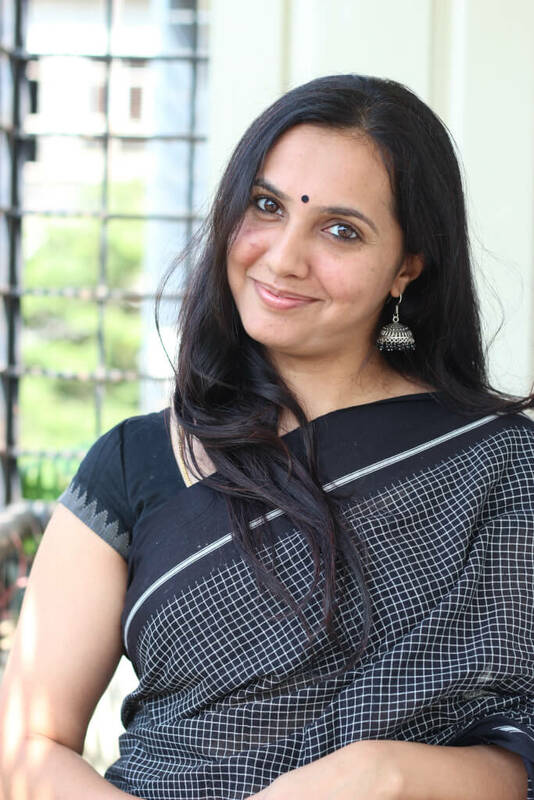 I had made up my mind to try it at home this summer and just in time the Kitchenif India Digital Ice Cream Maker made its way into my home. 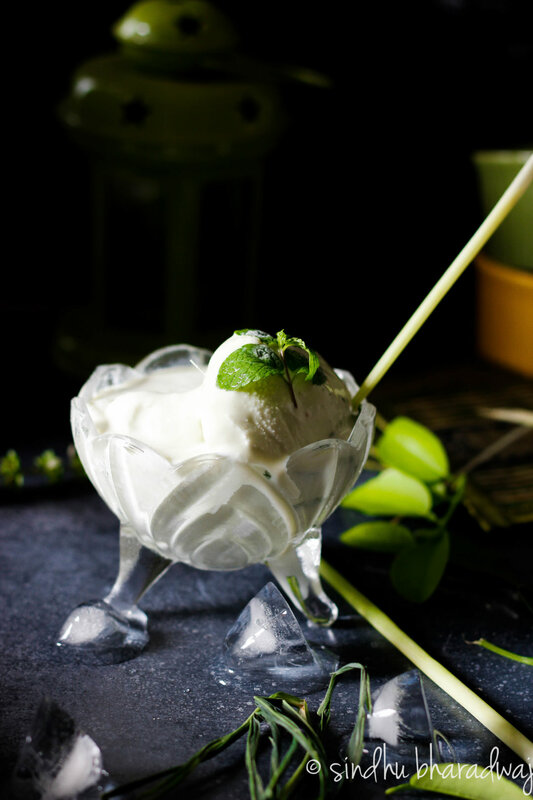 This amazing and unique flavours in the lemongrass and coconut ice cream is so so refreshing that even if you are a person who’s not like lemongrass or citrussy flavours, you’ll fall in love with it. 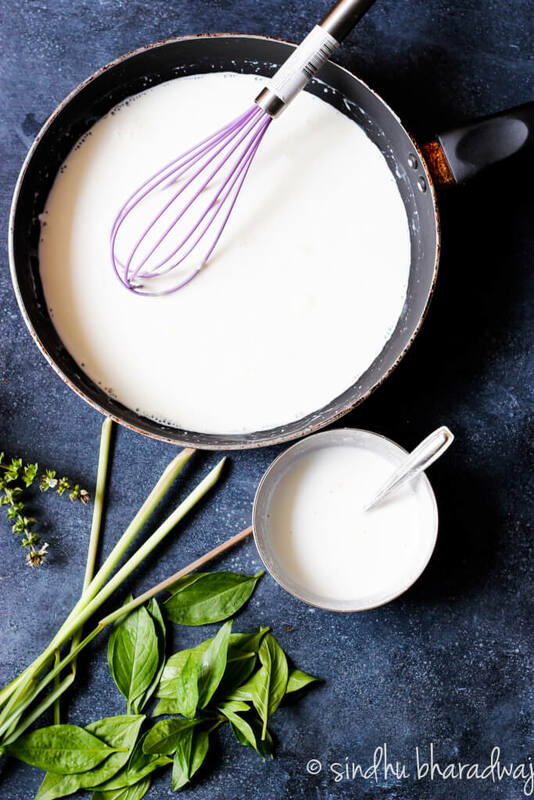 A subtle hint of lemon, the sweet scent of basil and the coconut milk gives it a super creamy texture that you’ll want to just slurp and lick the bowl. So before we start with the recipe, thought I should let you know a few things about the product. Comes with a paddle attachment which churns the ice cream to a soft serve consistency. The bowl inside the ice cream maker is made of steel thermos and needs to be frozen for at least 16-18 hours until the liquid in the container solidifies/freezes. Has a digital timer which you can set for maximum 30 minutes. The bowl is pretty big- say 2 L capacity which occupies most space in your freezer if you have a mid sized double-door refrigerator. You can’t set the timing to less than 20 minutes. And the max you can use is up to 30 minutes, beyond which the liquid in the frozen container start to liquefy. You’ll have to freeze it back again for close to 15 hours for it to solidify. Once the ice cream is done, it will reach a soft serve stage, after which if you want a firmer consistency, you’ll have to freeze it for another 4 hours. For more info follow my insta account @slurpyplatter and stories on my account. 200ml Condensed MilkYou can use 2 cups sugar in case you don't have condensed milk handy. 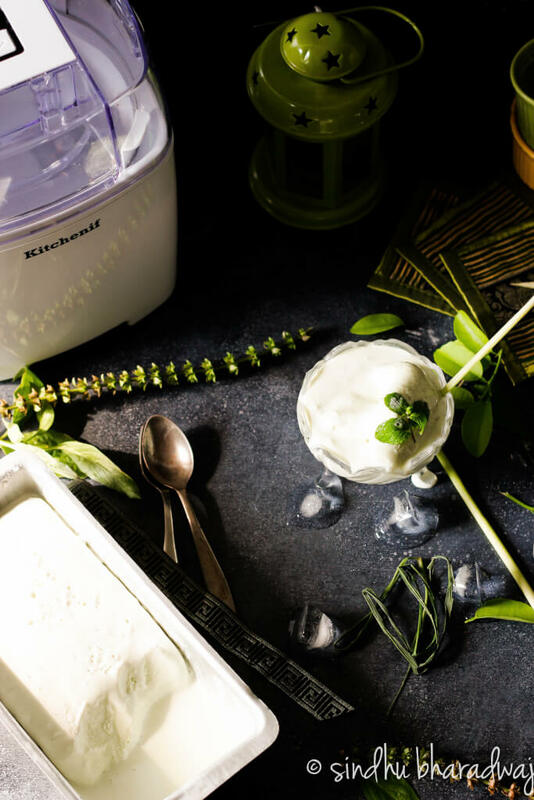 To begin making the lemongrass and coconut ice cream, let us first freeze the Kitchenif Ice Cream Maker bowl for 15-18 hours until the liquid in the ice cream maker bowl is frozen completely (when you shake it, the liquid shouldn't gurgle). In a small bowl, add 2 tsp of corn flour, a portion of the coconut milk and mix together until there are no lumps. Add this mixture to a blender jar along with lemongrass, basil , condensed milk/ sugar and blend together the to make a smooth paste. Now, strain this liquid and add it along with the fresh cream. 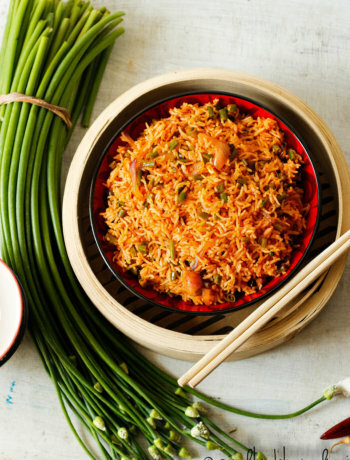 On a medium low heat, gently stir the mixture and simmer it for 10 minutes. An indication is that, the liquid thickens and when you dip the back of a spoon the liquid doesn't drip. That's it, pour the liquid to another container and chill for 6-8 hours. Just before you churn the ice cream, you can freeze it for 30 minutes. Once you're ready to make the ice cream, take out the kitchenif ice cream maker bow out of the freezer and place it in the main attachment and attach the paddle to the lid. Now pour the chilled liquid into the container and close it. Set the timer for 20 minutes and let it churn. After 20 minutes, you'll have a soft serve consistency ice cream ready to be scooped out. 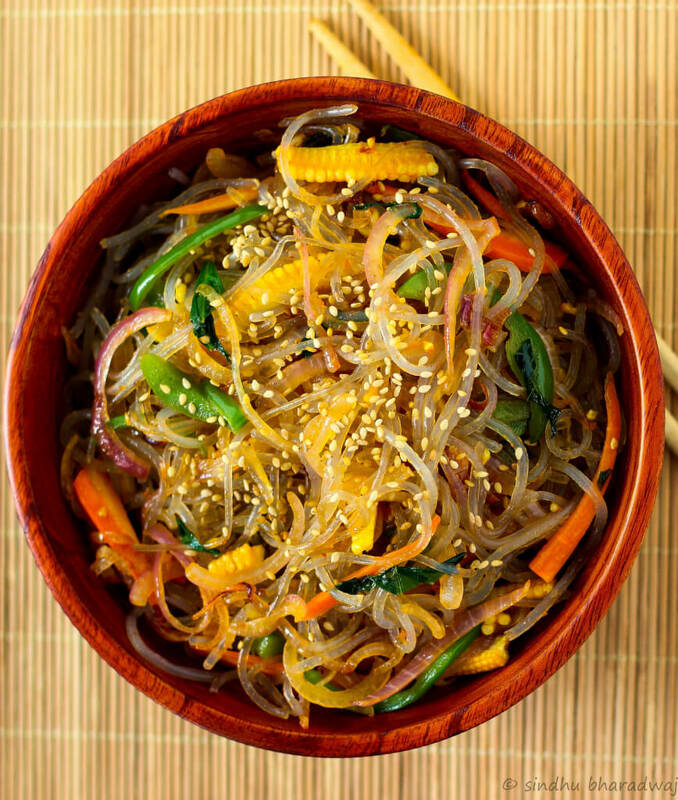 If you wish, you can freeze this for longer and get a harder consistency. If you don't have an ice cream maker, just pour the liquid into an ice cream tub/ a loaf pan and freeze it for 15 hours.